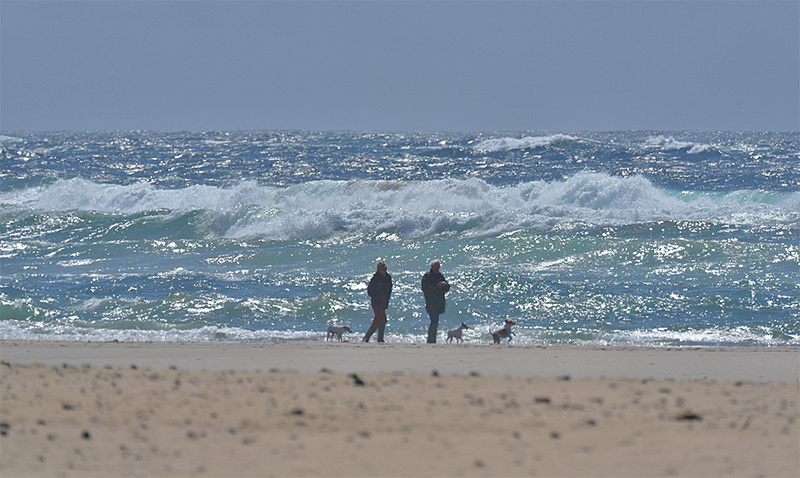 A couple walking their three dogs on Kilchoman beach on a bright sunny day on Islay, waves rolling in from the Atlantic. This entry was posted in Beaches, Landscape, New Post, Sunny Weather and tagged dog, Islay, Kilchoman, Machir Bay, Rhinns of Islay by Armin Grewe. Bookmark the permalink. What a glorious photo, +Armin Grewe – love it… I can smell the sea.